An unexpected new toy awaited students on the first day of class at an Ohio school this week: a 3D printer. The printer, which made its first appearance at Crestwood Intermediate in rural Portage County, joined other pieces of new tech, like coding kits, robots and drones, offered at the school. The move is a part of the school's larger effort to build a "makerspace," or space dedicated to creative learning through DIY projects. In a district struggling with budget cuts and the opioid epidemic, the tools -- donated by the Rural Technology Fund -- aim to create supportive space for children. Principal Michelle Gerbrick said the students -- who attend grades three through five -- are eager to test out modern technologies. "We are educating them for jobs we don't know exist yet," Gerbick said. 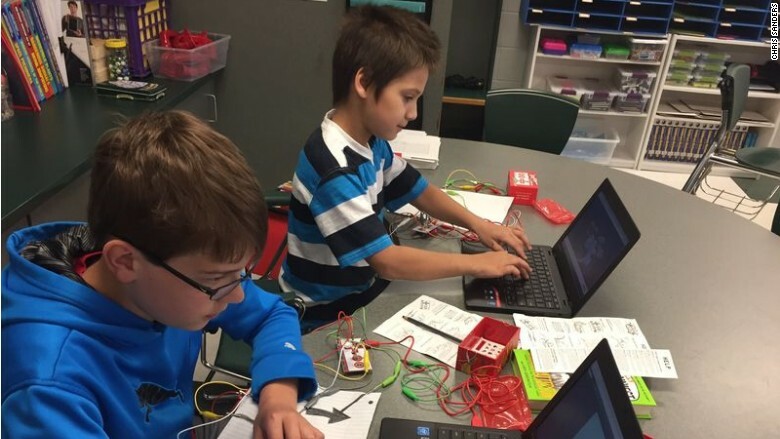 The Rural Technology Fund kickstarted the school's maker program last year when it donated 10 Makey Makey invention kits. Most recently, it contributed the 3D printer. Cybersecurity executive Chris Sanders founded the organization in 2008. His company, Applied Network Defense, funds the overhead for the nonprofit. It began as a scholarship program, but soon expanded its efforts by donating tech equipment. Since 2008, Sanders estimates the RTF has put tech resources into the hands of almost 40,000 kids in 40 states. This year, it's on track to help 25,000 students. Ohio students interacting with Makey Makey invention kits RTF donated. The foundation has also donated tech to school libraries, which Sanders says "are increasingly becoming makerspaces." Sanders grew up poor in Mayfield, Kentucky, and lost his mother when he was a teenager. 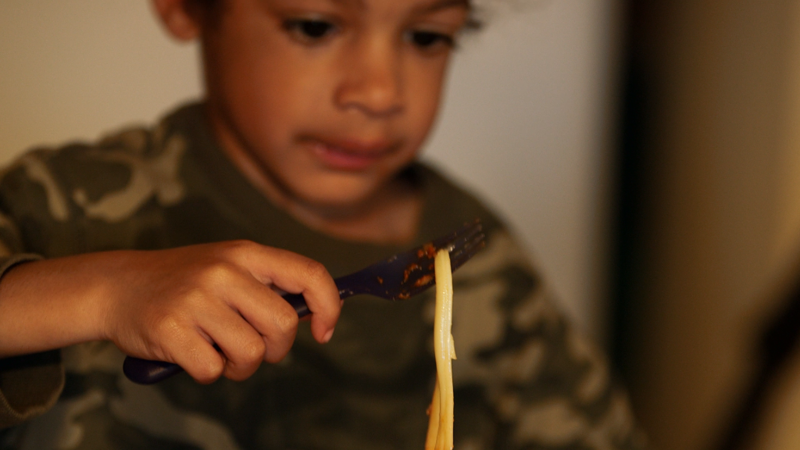 Now, the 30-year-old wants to help children break the pattern of generational poverty. "My dad was a truck driver and my mom was a sewing machine operator," said Sanders. "That's really all I knew as a kid." His story is not uncommon. In Mayfield, less than 15% of people over 25 have a Bachelor's degree or higher, and over 32% of the population live in poverty. Many rural communities still grapple with the loss of industries. For example, the Kentucky city relied on textiles and tire factories before those disappeared. "Kids may decide to go into computer science and go to college to start their degree, but [could be] outpaced by everyone else who had earlier exposure to it." Sanders said he was one of the few kids to get his hands on technology before college. His cousin, who was incarcerated for a drug charge, took a computing course in prison. He taught Sanders computing basics when he returned home. 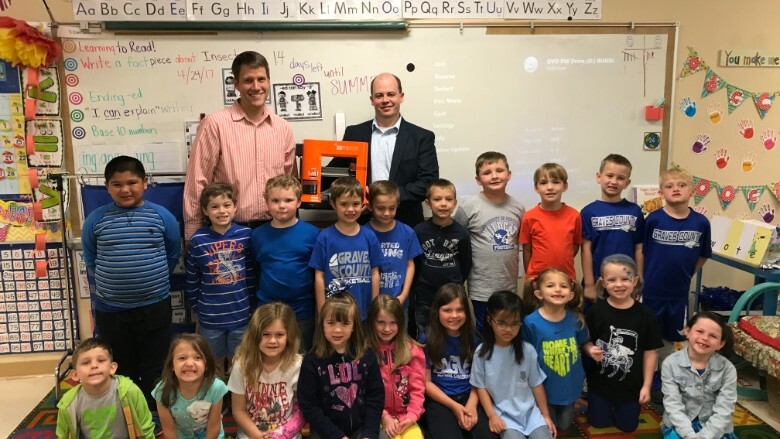 Sanders presenting a 3D printer to Central Elementary school in Mayfield, KY as part of the donation where we put one in every school. Sanders began fixing the school's computers and later served as its IT specialist. After high school graduation, he was offered a job as his school's first network administrator, which paid part of his way through college. Sanders believes rural kids given access to tech resources and jobs could become just as successful as those in Silicon Valley, Sanders said. But there's another issue at play: Rural communities often lack broadband internet, so people can't get online at home for school or work. About 19 million people don't have access to broadband in the U.S., including nearly one-fourth of the population in rural areas, according to the FCC. Principal Gerbick said rural schools in Ohio are facing severe budget constraints. Proposals to increase taxes that support her district have failed twice. President Trump's budget proposal released in May includes a $9.2 billion spending cut to education. The RTF targets these underserved classrooms through DonorsChoose.org, a fundraising site for teachers, or direct requests. It gives teachers the hardware and knowledge needed to give kids hands-on tech training. Some students who benefited from the program now want to give back. Melissa Shankle, a 21-year-old computer science student at the University of Kentucky, received the Judith A. Sanders Memorial Scholarship from the Rural Technology Fund in 2014. She wants to create a scholarship in her own mother's memory to help future technologists. "I knew that if there were more resources for students to get involved with technology, it would change the mindset from 'oh, that's cool' to 'I can and want to do that,'" she said.